As I am supposed to be focusing solely on my thesis nowadays, I am wasting quite some time surfing. I decided to google “public diplomacy turkey” and to read the recent developments. I believe, after Turkish MFA’s two conferences inviting all the ambassadors to meet in Ankara, Turkey decided to introduce new foreign policy strategies. I felt obliged to put my two “kuruş” in. On Jan 30th, 2010, Turkish PM issued a circular order, underlining the importance of public diplomacy and announcing the new official Public Diplomacy initiative. Institute of Public Diplomacy, was founded by a Turkish think-tank founded (where I was an intern six years ago). Suat Kinikoglu, a member of the Turkish Parliament, has mentioned the importance of communication and public diplomacy several times. He is also the director of Center for Strategic Communication – “a non-governmental organization in order to facilitate strategic communication for Turkey both at home and abroad.” (though I have to say, I am not really comfortable with calling an institution an NGO when the director is an MP and is affiliated with the ruling party). MFA announced that Turkish public diplomacy efforts will be seen on the internet. Although Turkey didn’t catch the first wave of ‘governments going online’, Deputy Undersecretary’s statements prove that Turkey has understood the importance of public diplomacy and two-way communication in foreign policy. Last January, the minister and several ambassadors visited Mardin, where they talked with local residents and journalists. The following news article explains how “prominent Turkish ambassadors briefly abandoned the formal world of diplomacy to interact with people at a local coffehouse”. It is good to see that our ambassadors can act in non-traditional environments. Our diplomatic corps are infamous for being elitist, these actions surely will help them to break this bad reputation. 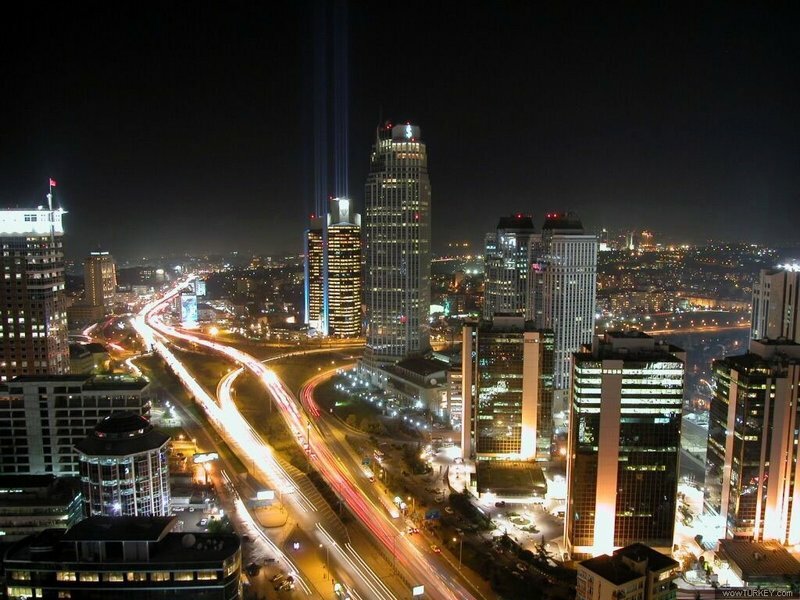 Turkey has been also engaged in several student exchange, economic cooperation, and cultural diplomacy activities. Now it is time for action. We are already a latecomer to the race, but at least, we are explicitly demonstrating our interest for being present in the public diplomacy sphere. I see four important problems: exploitation of the term, lack of strategy, unclear message, and targeting audiences. Even though we recently learned the term, we love calling everything ‘public diplomacy’, for instance the visit in Mardin. Apart from the fact that Mardin is a city in Turkey, I really cannot justify calling an informal event as public diplomacy. The minister and some ambassadors decided to walk around the town with some journalists during a conference in Mardin. I tried to find similar news articles in foreign media, but I couldn’t find any. Mardin is a fascinating city, is the home of several historical sites (and the world tallest men). But if there is no intention to create any communication bridges between Turkey and target audiences, this kind of public diplomacy attempts, one-way communication strategies are likely to fail. If we keep calling everything public diplomacy, the value of real PD projects will be neglected. I cannot see a clear strategy in the existing student exchanges and other cultural/economic activities. All projects seem to have short term interest, such as constructing a building, hosting a student, and promoting an artist. If we want to justify the budgets for PD projects – and it is better if we do -, we should have clear quasi-measurable strategy objectives. 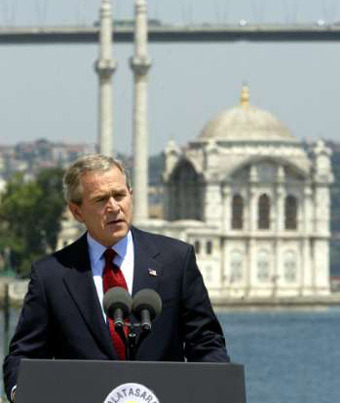 Turkey’s biggest challenge (and opportunity) is that there are several messages we can communicate due to our historical and cultural roots.One of our favorite messages is being “the bridge between the East and the West”. Visualized by Bush’s speech during the NATO Conference in 2004, we love to claim that we have roots in the Eastern and Western cultures. Although this claim represents the reality to an extent, it sometimes reflects an inconsistent position instead of a unifying/unbiased position. Especially when our government sometimes tries to use our eastern roots as an alternative in EU negotiations, our inclusive approach becomes less persuasive. Another message is presenting the modern side of Turkey. Although it is more appealing to some audiences, it doesn’t reflect the Turkish reality entirely. When you consider the various cultures of Anatolia (some of which have lived in the region years ago, and some of which are still living), we can come up with several different messages. Yet, still the important thing is to come up with consistent messages that reflect the reality instead of highly crafted propagandist messages. Last but not the least, we should define and prioritize our audiences. Our current foreign policy strategy, Strategic Depth, aims to create a multi-dimensional approach in which Turkey tries to build up strong relations with anyone and everyone. From a communication point of view, it is neither desirable nor feasible. In short, Turkey has the potential to become a well-known brand and a globally respected actor in international politics. It is time to stop calling everything public diplomacy, to leave our political differences aside, and to come up with PD strategies. Hey I stumbled upon your page by mistake when i was searching Google for this concern, I must point out your page is truly useful I also really like the layout, its beautiful!